I love my job. My job is super fun. I get to make cookies and cake rolls for lunch. I get paid to make dessert and ramble onto y’all every day. It’s pretty much a dream come true. Cut Jordan’s sandwiches into hearts. Purchase <insert holiday name> gifts more than 2 days before <insert holiday name>. Not buy butter in bulk. Now, my house is a mess, Jordan’s lucky if she gets a sandwich at lunch, and the last time I cared about doing something cute for any holiday was about 3 years ago. And I’m sorry, people shouldn’t complain if they get Easter treats at Valentine’s Day. It’s just how it is. I think that list doesn’t look much different than any other mom’s list, actually. Except for the butter in bulk. I buy mine in the form of 4- 4 pound packs at Costco. Monthly. I don’t have to buy lemons in bulk. Those I get from my mother-in-law. Bless her! And you know what you can make with lemons? Cake roll recipes are about as holiday as I get this year, and you know what? I think that’s okay. They’re pretty much perfect for every single one! 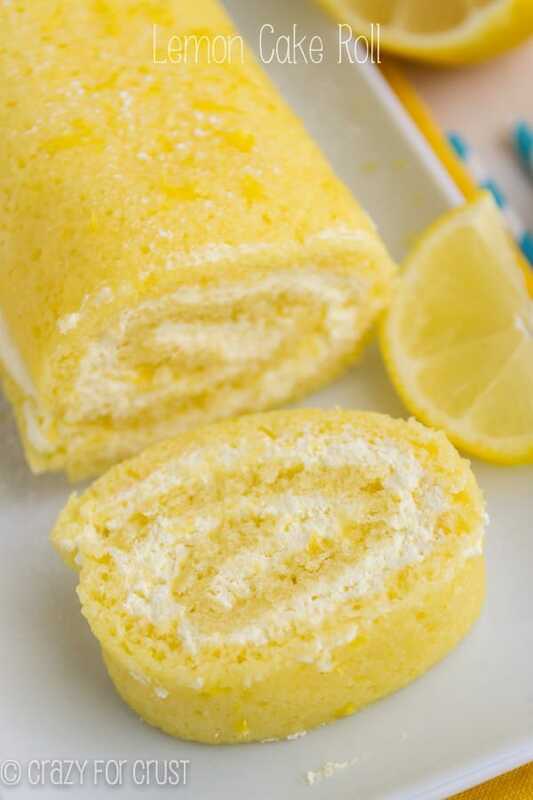 This lemon cake roll is super lemon. It’s got a hidden cape and everything. 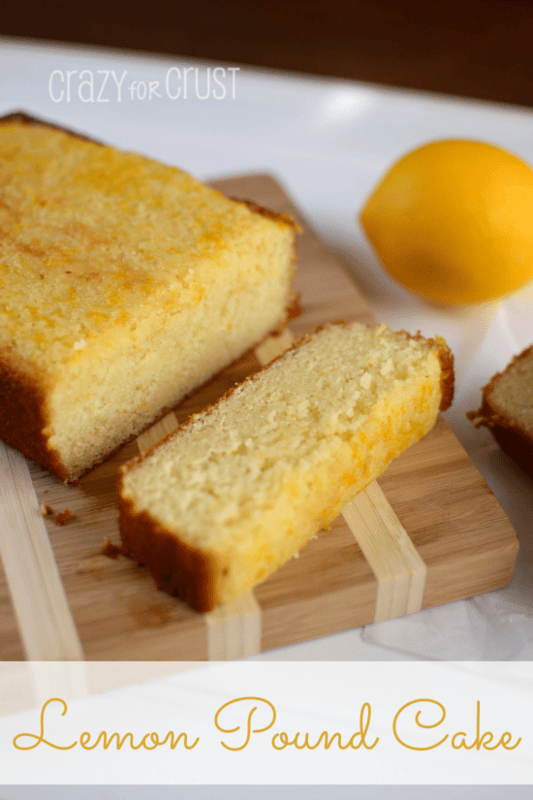 It starts with a lemon cake. You bake it in a 10×15 inch jelly roll pan. Make sure you line your pan with foil. I’m giving you a tip: spray the pan with the cooking spray that has flour in it. I ran out and it stuck like crazy to the foil, even with regular cooking spray. I usually use the flour kind, and I was kicking myself I ran out. Learn from my mistake! The trick to a cake roll is to roll it hot. You turn the just baked cake out onto a kitchen towel that’s been sprinkled with a generous amount of powdered sugar. It will get all over you, your walls, and your kids in the other room. It’s just a fact of life. You can see my photo & video tutorial for a cake roll here. And read my rules for good cake rolls here. The filing for this lemon cake roll is a lemon whipped cream. You mix lemon curd with some freshly whipped cream and spread it over the cake before rolling it. 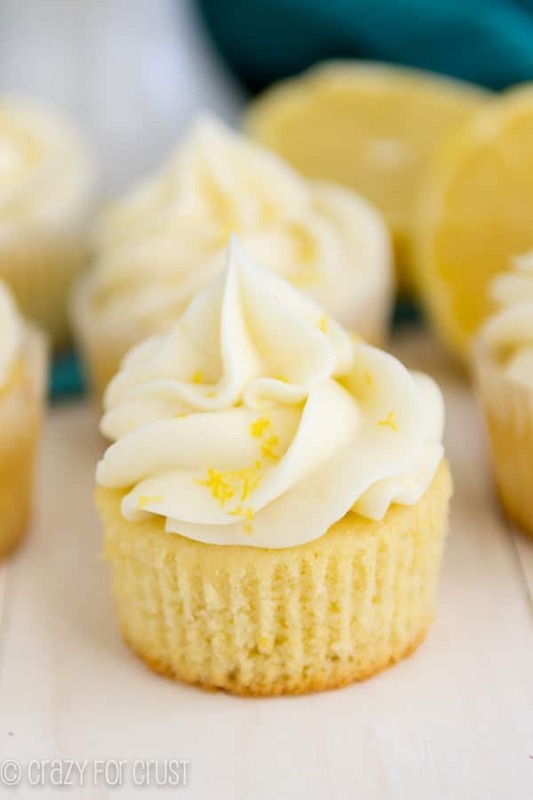 (You probably have some lemon curd left over from making these lemon cupcakes.) Mixing it gently with the whipped cream makes the whipped cream so good! The lemon cake roll is spongey and lemony, the filling is light and lemony. This is the perfect lemon cake roll and it’s perfect for holiday dessert. If you’re in love with lemon like me, try a Lemon Snack Cake, Lemon Muffins, Lemon Cake Balls or a Lemon Layer Cake. Lemon in every bite! 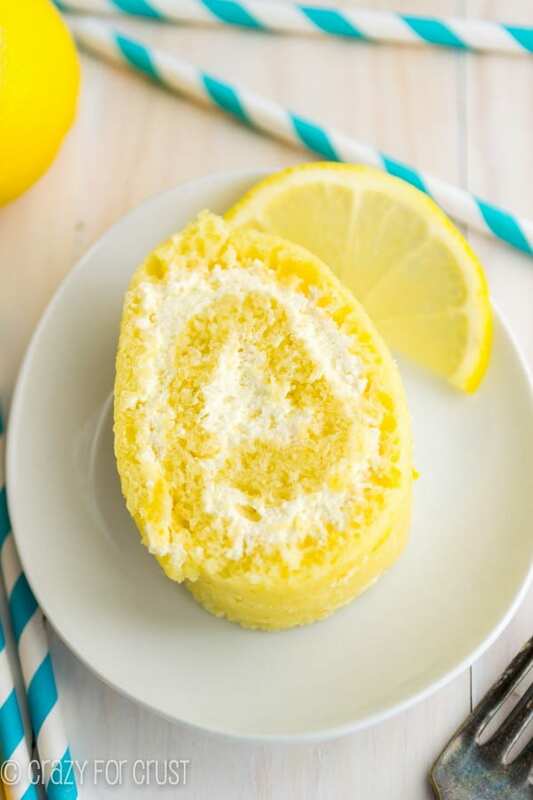 Lemon cake and lemon whipped cream filling make this the perfect cake roll for any occasion. Beat eggs at high speed for 2 minutes, until frothy and dark yellow. Beat in sugar, lemon juice, and zest. While the cake is chilling, make the filling. Beat the heavy whipping cream and powdered sugar until stiff peaks form. When cake is cool, carefully unroll the towel. Spread the lemon whipped cream over the cake. (You might have some whipped cream left over.) Gently but tightly, re-roll the cake and wrap it in plastic wrap. Chill until it firms up a bit, at least one hour or overnight. Slice and serve. Cake will last covered in the refrigerator for up to 4 days. 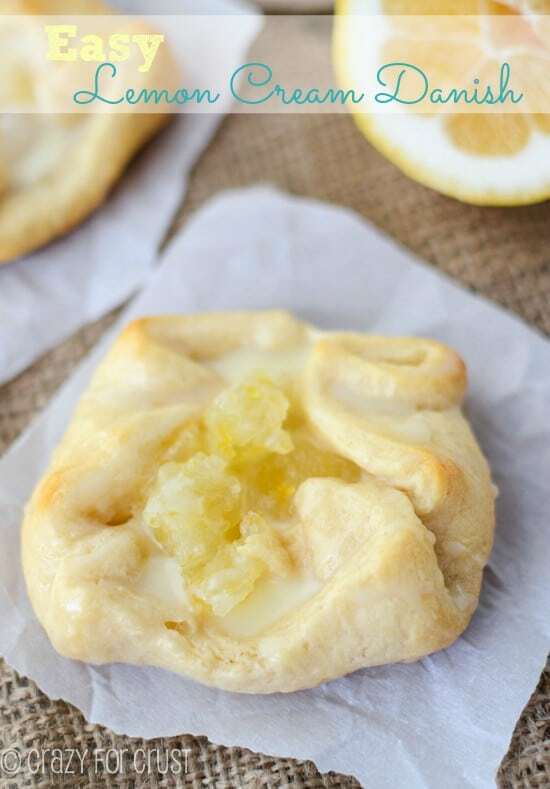 Or check out my Epic Lemon Round-Up with over 140 recipes! Can the lemon cake roll be frozen? 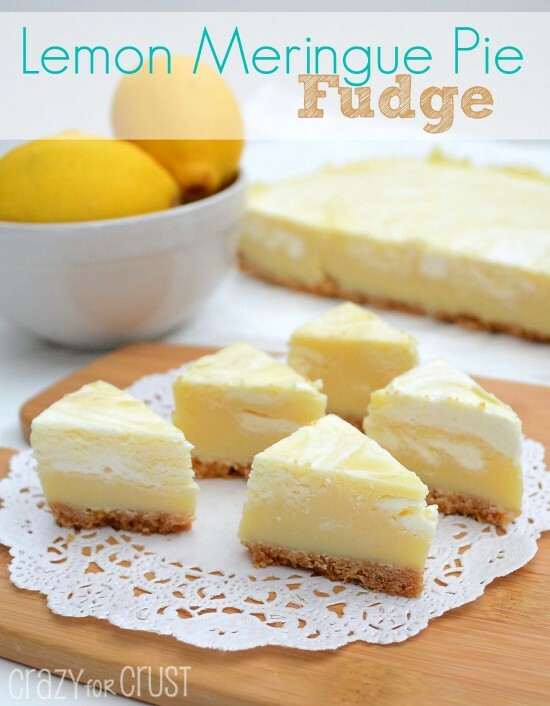 This is my husband’s favorite lemon treat. Followed the recipe great as is.